Arthur Aron Segal was born on 13 July 1875 in Jassy, a town in northern Moldavia, in Rumania, and was brought up in the town of Botosani. In 1889 he began to work, against his will, in his father's bank, while he practised drawing and painting, and became actively involved in the political activity of the Socialist Club in Botosani. In 1892 he broke away from his family and moved to Berlin, where he studied at the Academy under Eugen Bracht. He was especially attracted to Impressionist painting, and went to Paris in 1895, to study at the Académie Julian, finally establishing himself as a painter in Munich. Giovanni Segantini's oeuvre, and gradually the representation formulas of Italian divisionism, marked the work of the young Segal around 1900. From 1908, his transition to the expressionist language became visible in a new colour range and a different brushstroke. In 1904 he moved to Berlin again to marry his cousin, Ernestine Charas; they had two children, Walter (1907) and Marianne (1908). In 1907 he exhibited a painting for the first time, at the Berliner Secession. In 1910 he joined the Neue Berliner Secession and took part in very different exhibitions and initiatives of the expressionist circles, especially around Herwarth Walden, owner of the Der Sturm gallery. 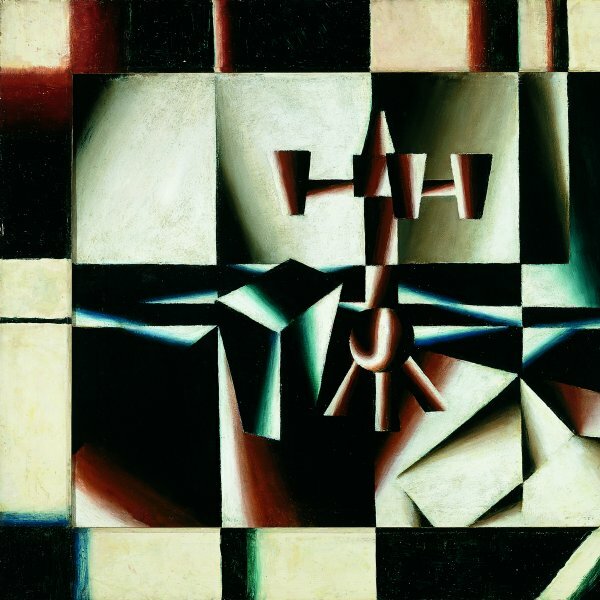 Religious themes had a prevalent place in the works he exhibited at the Werkbund in Cologne in 1914, the last exhibition in which he took part before immigrating to Switzerland, where he spent the war years. Segal and his family settled in Ascona, a centre of pacifism, of political anarcho-idealism and of artistic revolution since the creation, around the turn of the century, of the philosophical, poetic and vegetarian community Monte VeritÃ . The egalitarian ideas of the painter developed and matured with the social model of Ascona and became the definition itself of his art. It was then that Segal worked out his theory of the "equi-balance" in the composition, which marked an extraordinary change in his oeuvre. Zurich, where he began to participate in the exhibitions at the Cabaret Voltaire thanks to his connections with Hans Arp and Hugo Ball, was the second place that marked Segal's permanence in Switzerland. He did not go back to Berlin until February 1920. On his arrival there, he opened a painting school, and his commitment to the teaching of art, an activity in which he excelled, began to have special importance. He developed his artistic activity in the context of the Novembergruppe, the vanguard association created in Berlin in 1918. In 1922 he began experimenting with his "prismatic painting", a formula for pictorial images deriving from his definition of "equi-balance" and from his exchange of ideas with his friend the Goetheian philosopher Salomo FriedlÃ¤nder-Mynona. Prismatic painting marked Segal's artistic production in the period between the two wars, in which he achieved maximum recognition. He also experimented with other models of representation, such as "optical relief" and "new naturalism". In 1933 Segal and his family, being Jewish, abandoned Germany and moved to Palma de Mallorca, where they remained until October 1936. During his exile in Spain, Segal held various exhibitions in Palma and in Barcelona and worked frequently on Mediterranean themes. But in 1936 the outbreak of the Spanish Civil War forced him to emigrate again. London was his next refuge. There he opened a painting school, which he moved to Oxford in 1939, to flee the threat of imminent bombings. In 1940 the British authorities deported him to the Isle of Man where he was detained for several months. Segal returned to London with his family in 1943, this time very well received, to reopen his famous painting school. He established it at 1, Englangs Lane and he taught painting to British soldiers, an activity he had begun in Oxford, when he had put himself at the service of the War Ministry in 1941. Segal's Painting School remained open until 1977, but the artist died on 23 June 1944 due to a heart attack he suffered during the Luftwaffe bombings of London.